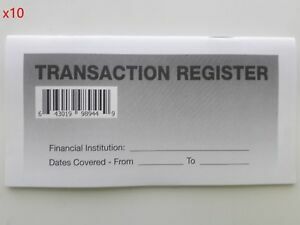 1 CHECKBOOK TRANSACTION REGISTER CALENDAR 2017 2018 2019 CHECK BOOK REG. bid-win-enjoy has no other items for sale. There are 19,505 items available. Please enter a number less than or equal to 19,505. Sales tax may apply when shipping to: IA*, MN*, WA*, WI(5.5%). Received item just as described. Fast shipping & packaged well. Thanks a bunch!! Great Transaction and Fast Shipping. Thanks! Items were as described and were shipped very quickly. Thanks. Not 34 pages as stated, these are 16 pages SAME AS FREE FROM ANY BANK!